TUBU Camera Bag was founded in 2011 in Hong Kong by a group of professional photographers who love nature, original and creations. 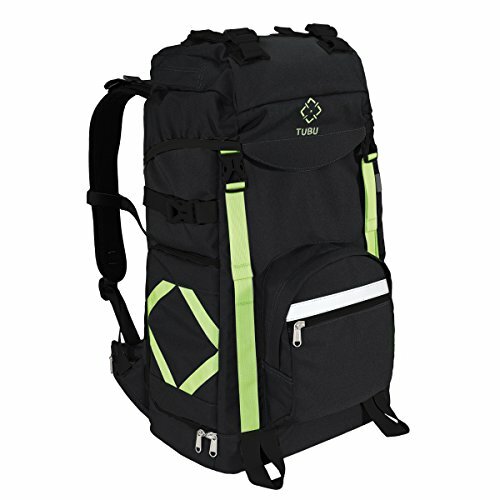 The TUBU logo symbolizes the focusing moment of DSLR camera, TUBU camera bag also focuses on product innovation and details by taking ideas and comments from fashion/landscape/wildlife/sports/ photographers and photojournalist etc. and created a very original camera bag series meeting expectations of thousands of photographers. Quality First – Durability and Build To Last by using top-notch fabric and accessories combining innovative structure design. Original Design – All camera bag design originated from ideas and expectations of professional photographers. Open Mind Development – We take ideas from every consumer in every 6 months to upgrade the product if necessary. Professional camera backpack for outdoor- Stylish design with hiking features ideal for all photography enthusiasts, all types of outdoor gadgets included(Waist strap, reflective strip, rain cover and tripod strap) make this camera bag to a professional hiking camera backpack. Double decker compartment- You can remove the dividers of top partition to store your clothes and food, a drawstring part can be extended 4 inches so you can put more; Bottom compartment of this DSLR backpack offers quick-access, allows photographer to grab the gears in just few seconds. Light weight and roomy- XL camera backpack just weight 4 lbs, two compartments both can fit a pro-sized camera and 2 additional lenses, flexible dividers allow this camera bag compatible with most of digital cameras, like Canon Nikon Sony Panasonic Olympus Fujifilm. With the high-density waterproof camera backpack which comes with a rain cover, keeping your bag dry and dust free. Anti theft YKK zippers and high quality buckles are built to stand -40 degree coldness. Innovative unqiue design – Two camera strap buckles allow photographer to hang the camera strap onto the buckles to distribute the pressure to neck. 30 days Free of return, 1 year warranty.